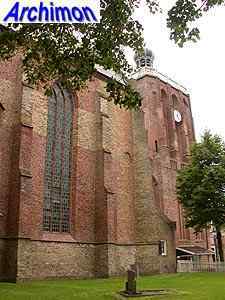 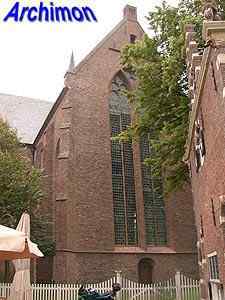 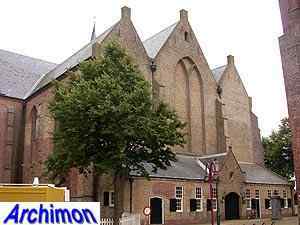 The old church of Workum is, unusual for this part of the country, a big Gothic hall-church. 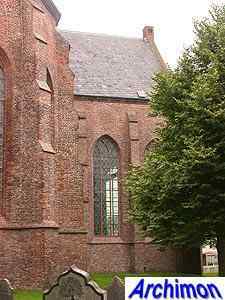 The oldest parts of the church are the choir, which was built in ca. 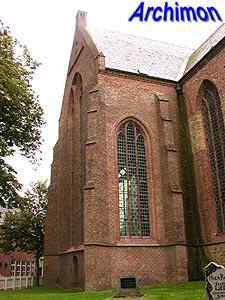 1480, and the transept, which was built after that. 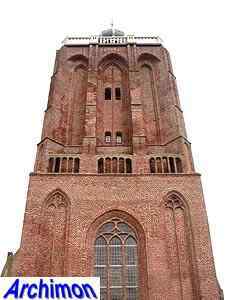 At the same time work on a tower was underway. 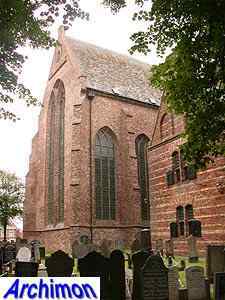 These parts originally were part of a one-aisled cruciform church, the nave of which was being replaced by a three-aisled one shortly before 1515. 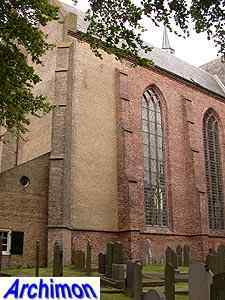 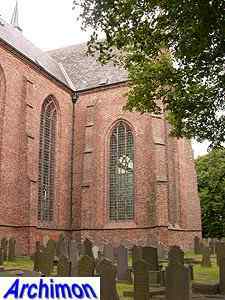 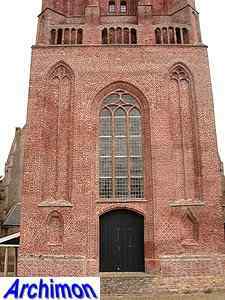 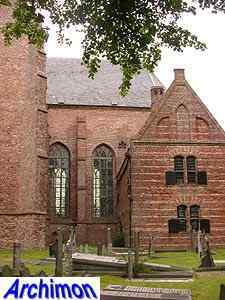 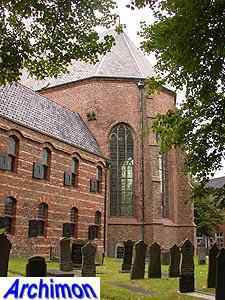 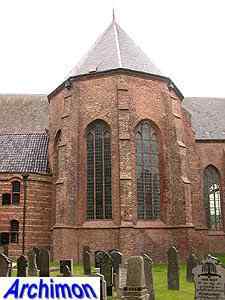 After the town was badly damaged during the war of 1523 the church was rebuilt as a hall-church. 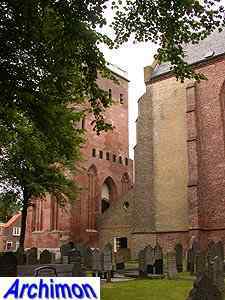 Choir, transept and tower was heightened. 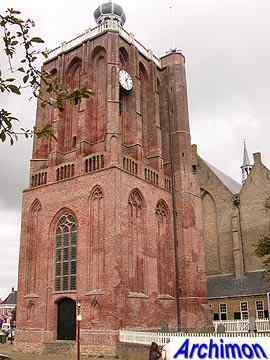 The nave was never completed and in 1615 was closed by a wooden western facade, leaving the still unfinished tower standing at some distance in front of the church. 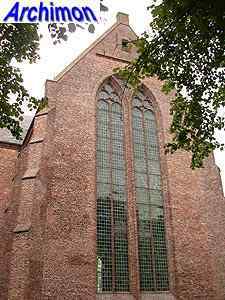 During a restoration in 1946-1951 the wooden facade was replaced by one of brick.